Vodafone K.K. 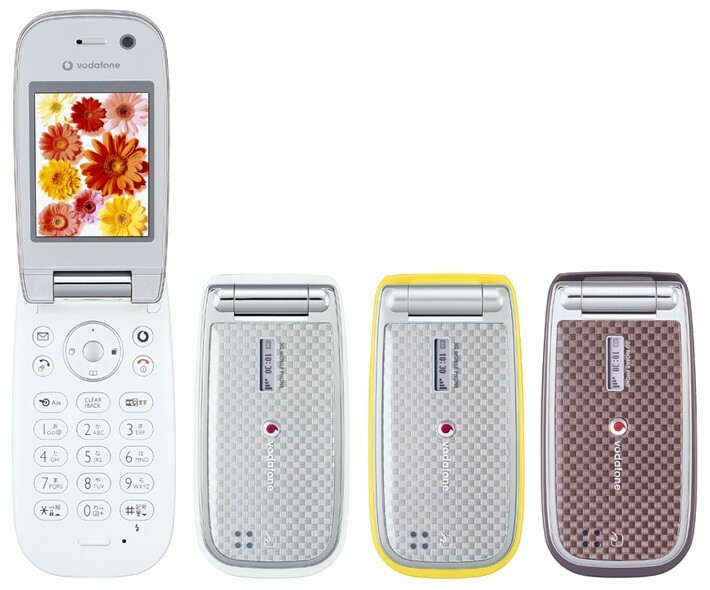 announced today that it will commence sales of the Vodafone 804SH [ .jpg image ], a new 3G handset by Sharp, on 22 December 2005 in the Chugoku and Shikoku regions, and all other regions on 17 January 2006. The 804SH has a new contrasting design with the upper and under body of the handset featuring “different forms and material feel”. The 804SH also features ‘Custom Screens’ for menu screen icon and wallpaper customisation, allowing customers to express their individuality from the display screen. This is the carriers second Osaifu-Keitai (mobile wallet) handset with embedded IC-chip to support Vodafone live! FeliCa and their first 3G phone with the Motion Control Sensor that responds to movements.